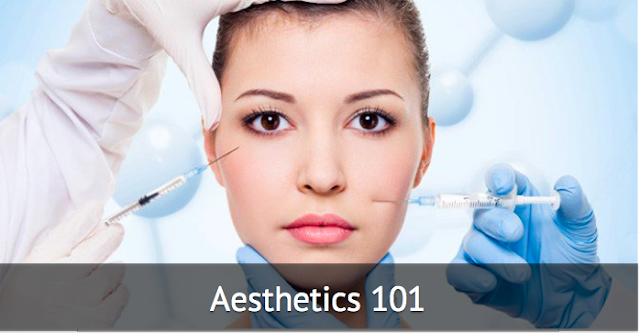 This is part 6 of our Aesthetics 101 series. Non-invasive body contouring has seen an increased popularity worldwide over the past few years. The trend is increasing with an increasing number of procedures together with devices that are seen in the global market. Noninvasive body contouring medical devices involve cryolipolysis devices, radiofrequency energy devices as well as even lasers to help decrease unwanted fat and contour body areas. Body contouring devices can be categorised into 2 broad categories based on their technologies. Heat based treatments (thermolipolysis): HIFU (Liposonix, Lipocel), Radiofrequency (RF), Sculpsure laser lipolysis (Sculpsure), i-Lipo and Exilis Ultra (RF + Ultrasound). Fat freezing based treatments: CoolSculpt, Clatuu and CoolTech and multiple, lesser known brands from China, Korea, Taiwan, Europe etc. What is the reasoning behind the different devices and applications? One size does not fit all. Our lifestyle, downtime, pain tolerances, body types, as well as specific goals all come into play in regards to body contouring and fat reduction. Multiple devices need to be considered when it comes to noninvasive body contouring. Heat based technologies (HIFU and RF) help to debulk, shed general areas of fat, and general skin tightening/cellulite reduction. HIFU body contouring is a procedure where heat from the high­ intensity focused ultrasound eliminates unwanted fat cells at your desired areas. S​o if that extra layer of fat under your arms or the love handles at your waist is troubling you, HIFU can help with that to create a more defined and contoured shape. The key point to note though is that this is not your alternative to a weight loss program. Even though the fat cells are destroyed, they do not result in a significant weight loss. Fat freezing offers a more targeted and precise contouring. However, it's relatively more expensive as compared to HIFU and RF based devices. Dermatologist Dr Davin Lim wrote an article and controversially suggested that cryolipolysis is much more predictable in its outcomes compared to thermolipolysis (HIFU, Radiofrequency and Sculpsure laser lipolysis). His experience with the CoolSculpting in his centre with over a few thousand treatments of fat freezing and heating showed that CoolSculpting achieved up to 98% satisfaction rate while thermolipolysis (heat treatments) achieved substantially lesser satisfaction. Treatment with heating depends on tolerance to pain (especially HIFU) and when treatment is lowered in intensity, results are sacrificed. Intensity of heating with laser can vary with different skin types (dark skin or hydration levels can compete with fat for the laser energy). CoolSculpting is the only FDA-approved, non-surgical fat-reduction treatment that utilizes controlled cooling to eliminate stubborn areas of fat. In the early 2000s, two Harvard University scientists noticed that some children who ate popsicles got dimples on their cheeks. The scientists realized the popsicles were freezing and eliminating small pockets of fat cells. The idea that cold could target fat cells without damaging the surrounding skin or tissue is the concept behind Cryolipolysis, which is the science CoolSculpting is based on. The CoolSculpting fat-freezing procedure contours the body and reduces the number of fat cells by targeting stubborn fat in areas in the submental area, abdomen and flank, thigh, bra fat, back fat, underneath the buttocks (also known as a banana roll) and upper arms. During a CoolSculpting appointment, a roll of fat is placed in between two rounded panels that cool the fat to a freezing temperature. After, the treatment area is massaged, breaking down the fat cells further, producing better results. In the weeks following a treatment, the body will naturally process the fat and eliminate the dead cells. The results are considered long-term because the fat is gone for good! Untreated areas will have no change in fat cell distribution. This is not a weight loss treatment. Weight loss occurs when fat cells become smaller due to adequate calorie intake and burning. As a result, the fat cells shrink in volume, but the number remains the same. CoolSculpting, on the other hand, reduces the number of fat cells in the treated area to help you achieve a more contouring body shape. The results are considered long-term because the treated fat cells are gone. How does Fat Freeze CoolSculpting work? CoolSculpting treatment permanently reduces fat cells in the treated area with a single session. This also means that if you put the weight put back on, it will not show up in those treated areas! Coolsculpt is simply a BRAND of fat freezing technology. Being inventors of the procedure more than 20 years ago, CoolSculpt has become the largest company worldwide in the field of non-invasive fat reduction, but there are other fat freeze machine brands around such as CoolSculpt, Clatuu and CoolTech. There are also multiple, lesser known brands from China, Korea, Taiwan, Europe etc. They all use the same philosophy of freezing fat cells to kill them. Of course, as with all aesthetic brands, there will be differences between them in terms of cost, effectiveness and safety. What happens during a fat freeze session? During the treatment, a gel pad and applicator is applied to the targeted area, and a 35-70 minute long treatment session ensues where you feel a cold and tugging sensation. This quickly subsides as the treated areas turn slightly numb. Combining different technologies at suitable intervals is also clinically proven to enhance results. Results can be seen as early as 1 month, but for most, it takes 2 to 3 months. Results from a single session can be visible on photographs as well as measurements. Repeat treatments are usually only required in areas with excess fat. Pick a safe Fat Freeze! Fat freezing could be dangerous! Safety is the main reason why I suggest using machines from more renowned manufacturers. DON’T RISK getting a skin injury and permanent scar. The above treatment resulted in permanent scarring on the patient. CoolSculpt is the only controlled cooling device designed with built-in safety measures, at the moment. 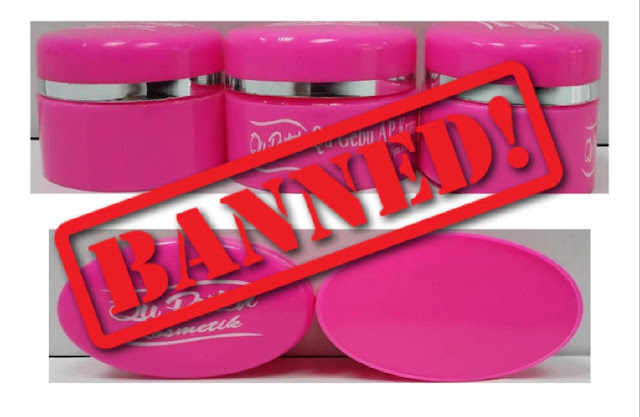 This is a patented technology which automatically terminates the treatment when it detects any safety breach or abnormal skin condition. Applicators (or handpieces) are those little gadgets that are actually placed onto your skin during treatment. Applicators come in different size and specs. They are the main reason why some machines can treat specific areas like your double chin, while others cannot. Trying to use a big, flat, stomach applicator on the chin simply won’t work! As of now, CoolSculpt has the most number of applicators (10 in total), followed by CoolTech (6 applicators) and Clatuu (2 applicators). CoolSculpt’s applicators are also designed for the Asian body and fit our body types perfectly. However, if you take a close look at CoolTech’s handpieces, you’d notice that they are all made for a much larger, Caucasian sizing. As for Clatuu, the main drawback is that the limited number of applicators means the machine is unable to effectively treat the double chin, smaller areas, and spots with non-pinchable fat. 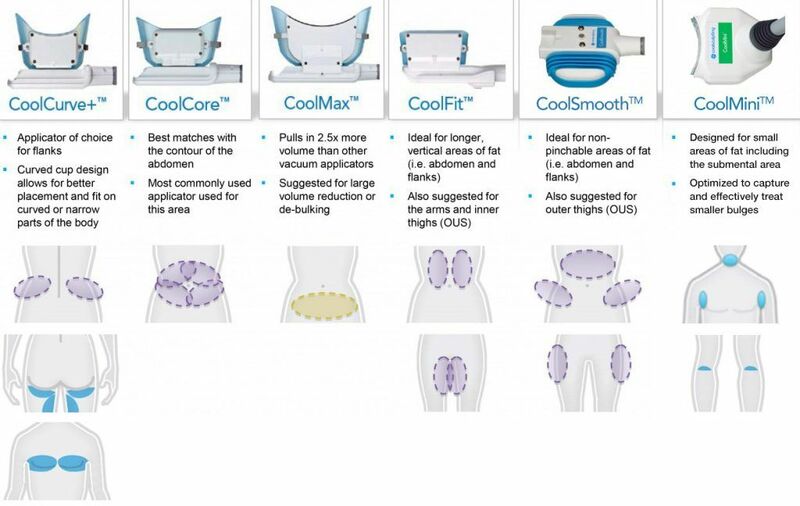 With the latest update, CoolSculpting introduced Cool Advantage applicators (yes there are differences even between new and old CoolSculpting machines). These provide faster and more comfortable results. Fat freezing takes only 35 minutes, which makes it the most efficient device in the market. The next fastest treatment time is achieved with Clatuu, which recommends 60 minutes per fat freezing session. CoolTech recommends 70 minutes per session. What if you need to treat multiple areas at the same time? This is where CoolTech and Clatuu actually have an advantage over Coolsculpt. Both Clatuu and CoolTech do not have any built-in safety or monitoring systems. Hence, 1 machine can easily treat 2 areas at once. This problem is solved with having multiple CoolSculpt machines. So although CoolSculpt has the fastest treatment times, if you have many areas to treat, the overall duration per session might end up being the same. The Doctor’s Guide To Fat Freeze CoolSculpting In Singapore. DoctorxDentist.com. J. Kennedy et al. Non‐invasive subcutaneous fat reduction: a review. JEADV 2015, 29, 1679–1688.